Embedded MAP forms can't be styled, be progressive or prevent duplicated records. Embedded MAP forms sit on the Vidyard domain, so a web browser would assign a different cookie to the viewer than it would if they visited the MAP's native domain. We cannot design the form using the MAP's HTML/CSS tools with this method. Create your form and make sure the processing is not set to redirect upon form submission. 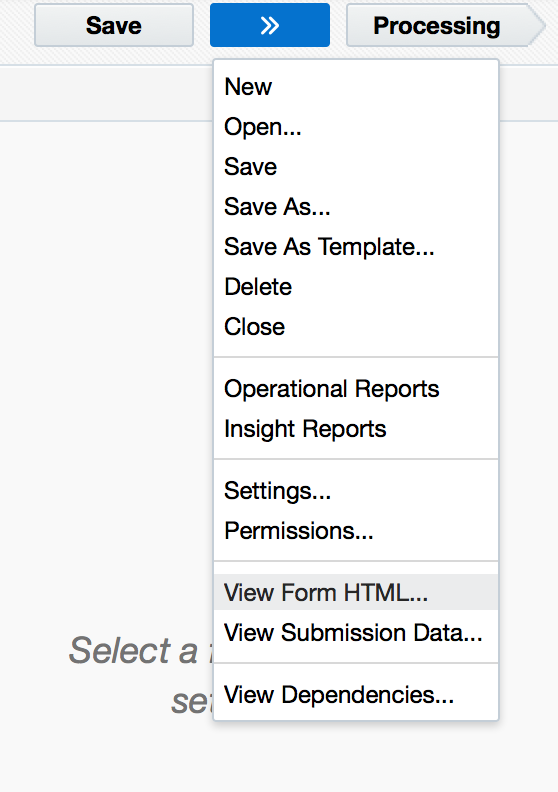 Save the form and view the form HTML. Copy and paste the form HTML into a blank text document for adding to your Landing Page later. Change the form ID (in red above) to reflect your Eloqua form ID. Choose a microsite for your landing page and save it. Copy the URL for later use when embedding the page in your event.